Few artists are transcendent. There are those that make a mark so indelible that even a tragic, untimely death can’t lessen the tight grip they have on our collective consciousness. Such was the case with Texas guitar virtuoso Stevie Ray Vaughan. The man cut his teeth in the dives of Dallas, helped break open the Austin scene and slummed at Cheatham Street before becoming an international superstar. Tales of SRV’s talent and excess are commonplace and we won’t rehash them here. Just know that he was more than the sum of those narratives. He was a talented singer, songwriter and producer as well. He had the artistic abilities to stretch beyond 1-4-5 blues and did so on occasion, but he always knew where home was. He was an old soul with a Texas spirit that embodied all he did. After beating around throughout the 70s, Stevie Ray shot to fame and infamy in the early 80s on the strength of his live shows. He was a throwback bluesman with Hendrix-esque intensity and mystique, all in an original Texan package. Stevie Ray Vaughan climbed mountains that seemed impossible both personally and musically. He overcame many obstacles, including a great number of self-inflicted ones, to become the preeminent post-Hendrix guitar player. Had Stevie Ray Vaughan lived he’d have turned 60 today. He was robbed from us nearly 25 years ago at the age of just 35. His life made him a legend, his death escalated that notion and his music confirms it each time its played. His influence is undeniable on the modern Texas/Americana scene even if it’s not as noticeable as Willie Nelson’s. It was in his attitude, vibe, style and independent nature. He played his music, his way and has been copied relentlessly ever since. Thanks for the music SRV and happy birthday. SRV and Double Trouble blow the roof off the Montreux Jazz Festival in 1982 and become notorious. This leads to many major breaks for the band. The mid 80’s found Stevie Ray with major buzz and videos on MTV. By 1989, Stevie Ray was on top of the world. He’d conquered his demons and was achieving his greatest artistic success. Perhaps the best to ever strap a guitar on. Here he had just woken up and strolled into sound check. He’s blistering moments after rolling out of bed. 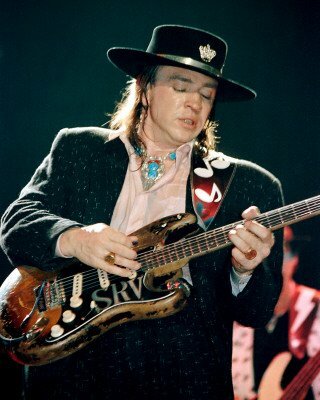 Love all of SRV’s music and his videos…Thank you so much for posting these..I will be sharing also. Thank you for doing what you do.